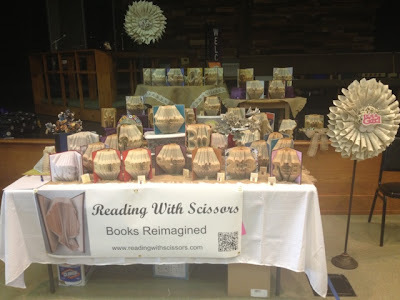 Reading With Scissors: It was a fun day! So my first craft show is under my belt and it was a great success. 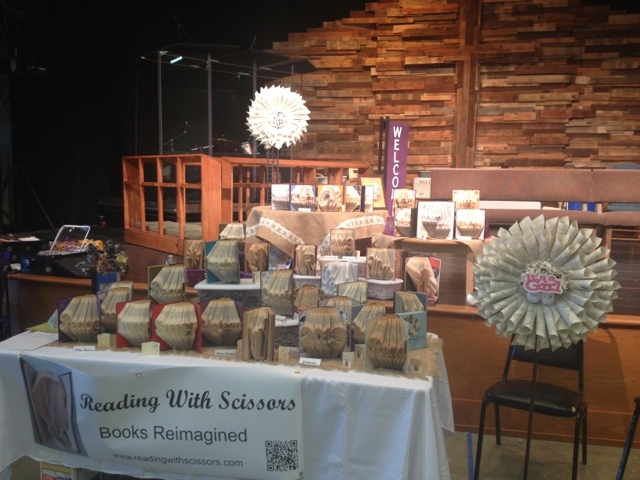 I lucked out because my table was right in front of a stage and I was able to use it to display my wares. I even got a fancy-dancy sign to hang on the front of my table. Wanna know where I learned to fold or where I came up with the idea? Just ask the booths around me because they heard the answer several hundred times I'm sure. 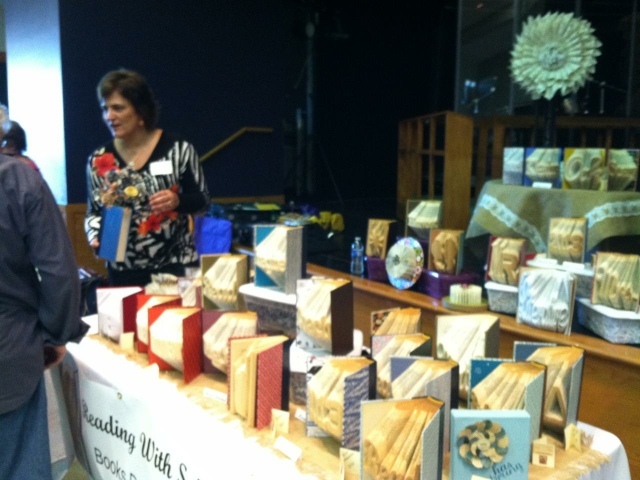 Special thanks to Debbie for helping me out with staging and watching my booth while I went to shop. Captain America told me the goal was to sell more than I bought. I think I made it. Maybe. I sold several books and got orders for more, but the thing that sold the fastest interestingly enough were the folded flowers I made for the wedding. Need to have more of them at the next one, for sure. I had a lot of fun and can't wait to do it again. Whoo-hoo! What a nice display you had - lots for people to see! I'm glad the show went well. S-P-I-R-I-T, Spirit Let's Hear It!